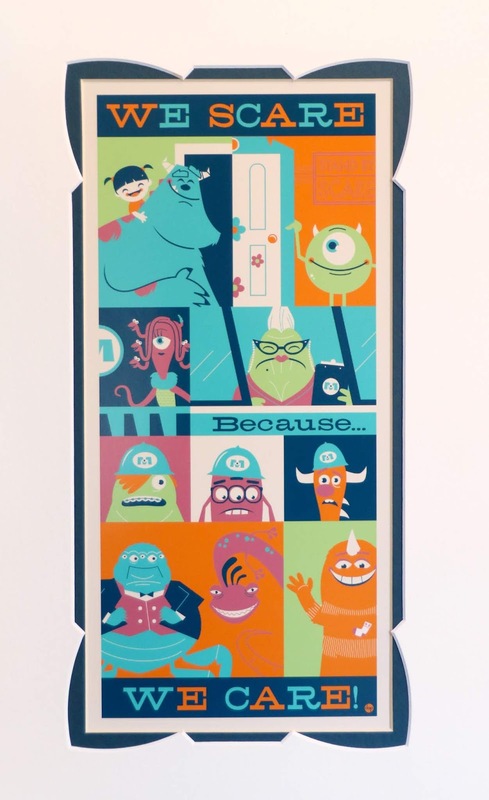 Here we have a Monsters Inc. inspired print that's so screamtastic, it's scary! Titled "We Scare Because...", this stunning 14" x 18" art piece by Disney/pop culture illustrator Dave Perillo is currently available at Disney Parks for $39.99. I was thrilled when I stumbled upon it this past October during our latest trip to Walt Disney World! I picked this up at the Merchant of Venus gift shop in Tomorrowland, but I believe it's also available at the Wonderground Gallery in Disney Springs as well. This deluxe matted print is perfect for framing. I picked up a simple black frame today at Michael's (40% off) and popped it right in. It's currently hanging proudly on my office wall as the newest addition to my Pixar art gallery! This same image is also available as a 5" x 7" postcard as well, for those wanting this in a smaller size. Retail for the postcard is $4.99. All your fave characters are here: Mike, Sulley, Boo, Celia, Roz, Waternoose, Randall, George Sanderson, Fungus and even Needleman and Smitty (man, those two just don't get enough love; it's awesome Dave included them on here). I just love everything about this. 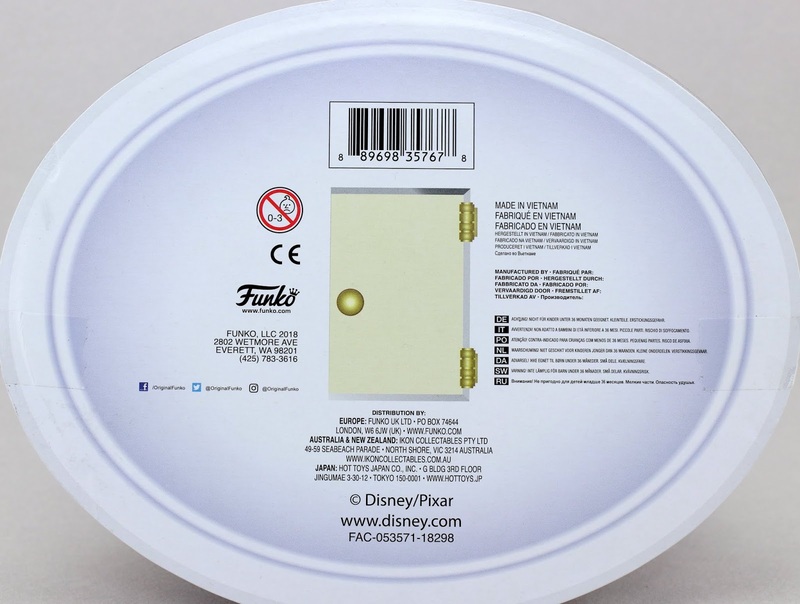 It's great for adult fans like myself, but this would also look adorable in a Monsters Inc. kid's room! Dave Perillo has been a favorite of mine for years (check out when we first met HERE). I'm just completely drawn to his style, which is very specific to him. I can recognize one of Dave's pieces from a mile away. I love his minimal character designs and use of muted/unique color schemes—and I gotta say, it works SO well here with this piece. I really wish I had more of Dave's art, but I've only been able to get my hands on a couple other prints (like the NYCC Wall·E & Eve ones and the issue of Birth.Movies.Death he did the cover art for). 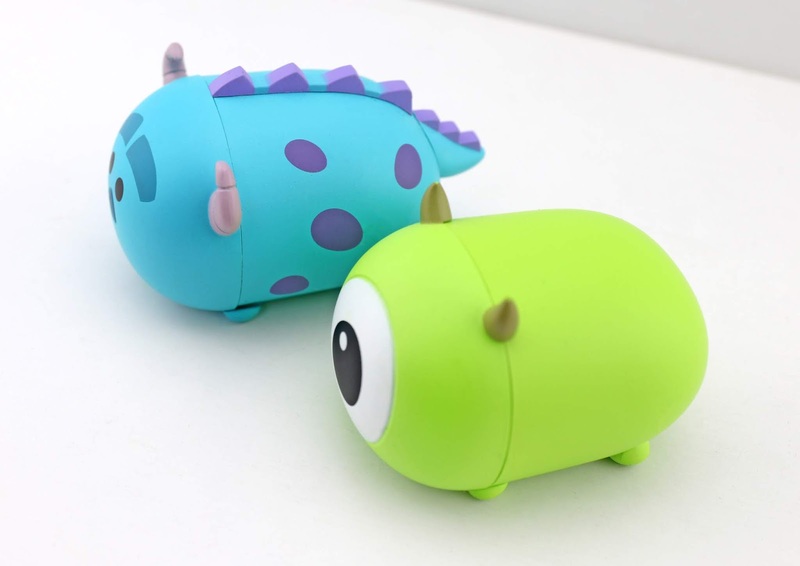 As seen below, in 2018 he even did some designs based on several Pixar short films! I REALLY need those. Like a lot. You can check out Dave's portfolio (as well as all the upcoming conventions he'll be attending) on his blog Montygog. If you like what you see, be sure to hit him up on Instagram and Twitter as well. That's about it! I'd love to hear your thoughts, so be sure to comment down below. Do you have any Dave Perillo pieces you're proud to have? Who's your favorite Disney artist? 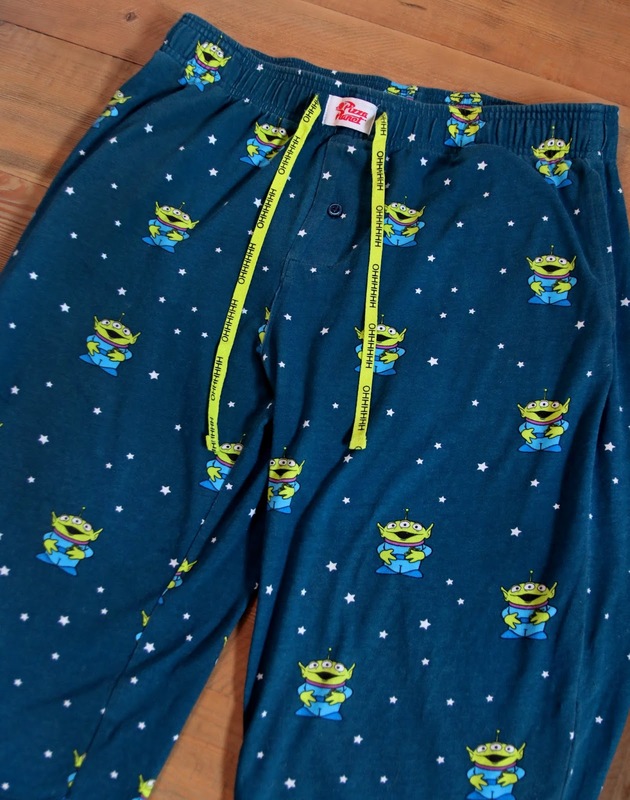 OoooOOOoooooOO...check out these spacetacular Toy Story Pizza Planet Alien sleep pants from BoxLunch Gifts! Every year on Christmas eve (lifelong tradition) my grandparents give all us grandkids a fresh new pair of PJs to wear into Christmas morning—oh the magic. This past year, similarly to the Pizza Planet ones I chose in 2017, I decided to go the Pixar route again and received this super fun pair featuring everyone's favorite three eyed aliens! I love the subtle details, like the little Pizza Planet logo at the waist, the "OHHHHHHH" on the draw strings and the tiny stars—not to mention the cute little designs of the aliens themselves. You know I'm a sucker for all things Pizza Planet! These pajamas are soft and comfortable (cotton/poly mix), though maybe not quite as soft as the 2017 pair I got (plus those came in a cool pizza box). These are great though and I've worn them a ton since Christmas! 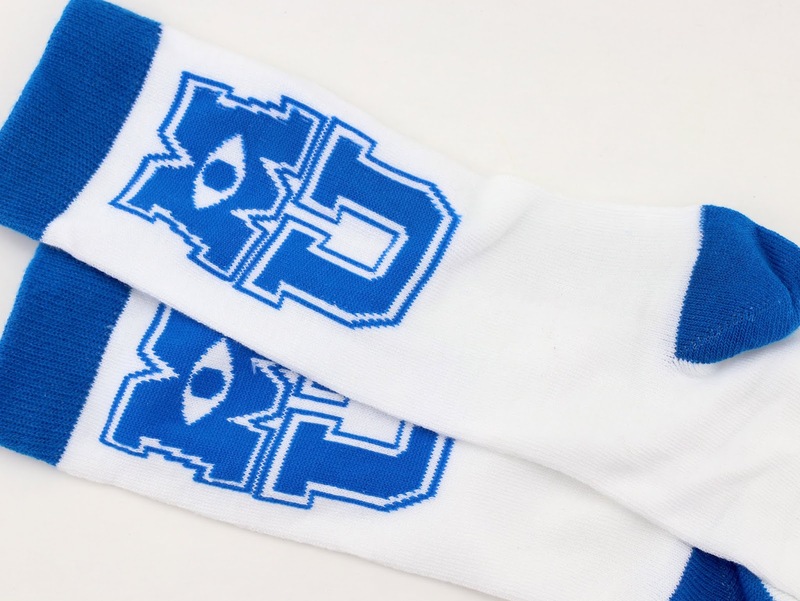 These retailed for around $29 at BoxLunch and have unfortunately since sold out in all sizes online. Keep a watchful eye though as they very well could come back. Anyone else out there get these as well? 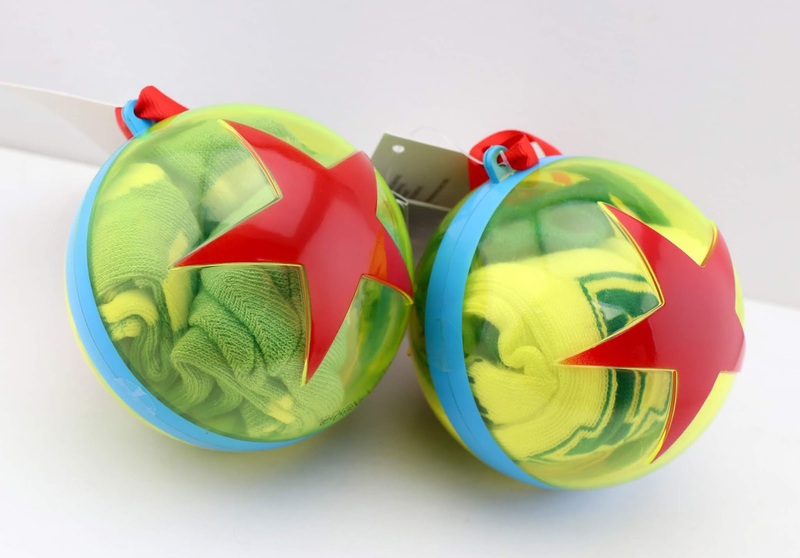 Do you have a favorite pair of Pixar jammies? Let me know your thoughts down below! 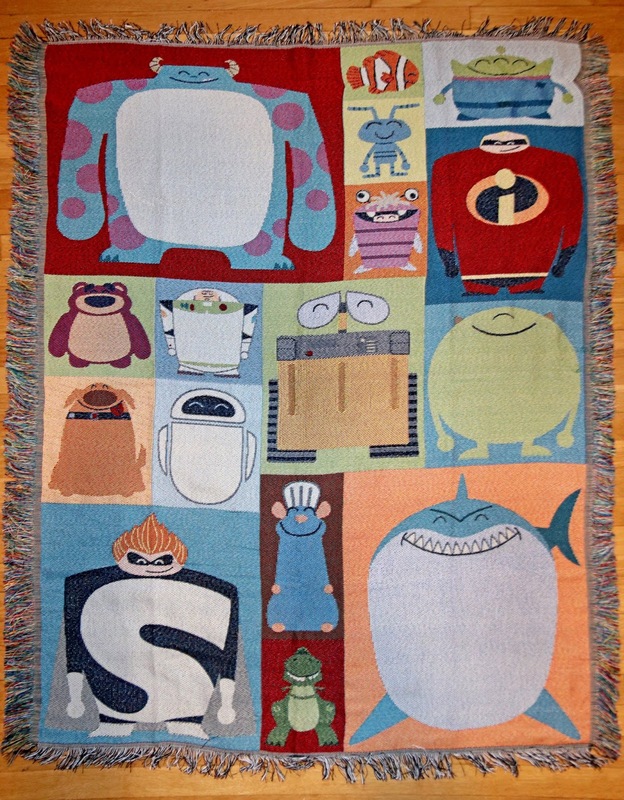 Ready for the best Pixar blanket currently out there? 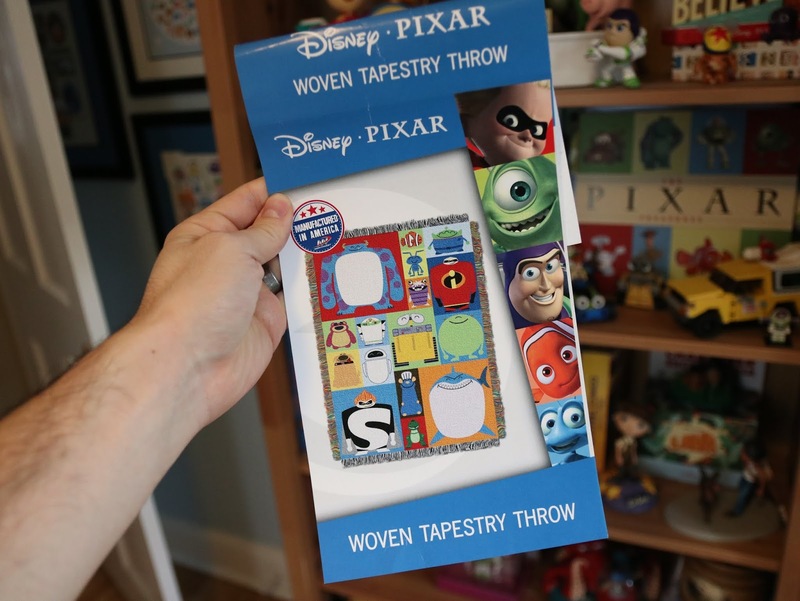 Check out this "Pixar Character Blocks Woven Tapestry Throw" from ShopDisney! Each Pixar film of the golden era (which I consider 1995-2010; or Toy Story to Toy Story 3) is represented here by at least one to three characters—except for Cars (not sure why that one got left out). These stylized designs are still some of my all time favorites, which date back to 2014 when some of them debuted on THIS Disney Store t-shirt (still one of my fave shirts). These designs were also featured on several giant walls on the show floor of the 2015 D23 Expo (see them in my post HERE; scroll about half way down). I really wonder who the artist is. This high quality throw measures 60'' H x 48'' W and retails for $39.95 HERE on ShopDisney.com. I absolutely love the overall look and the decorative fringes around all the edges. 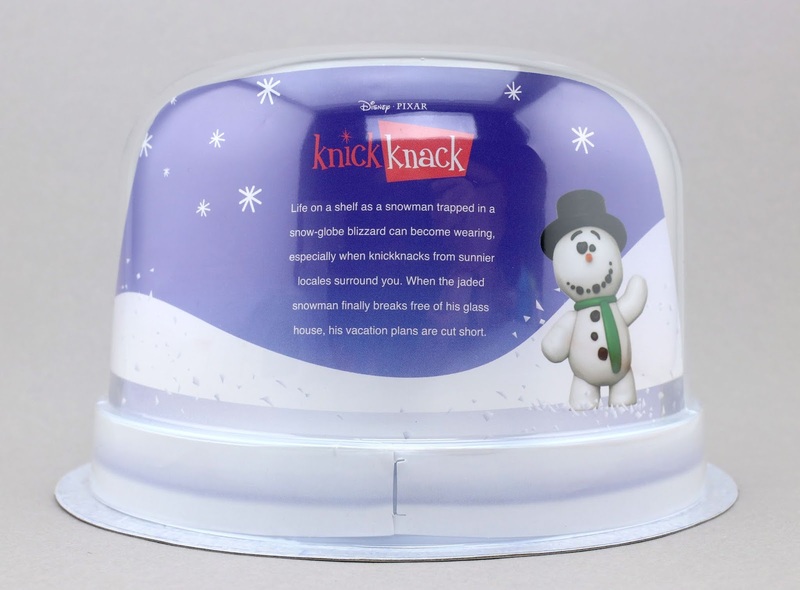 Don't expect a soft, cozy, or warm blanket with this though. Sure you can curl up with this on the couch if you'd like, but I'd say it's more decorative (could even be used as a rug or hung on the wall; I personally drape mine over my office computer chair which looks great). 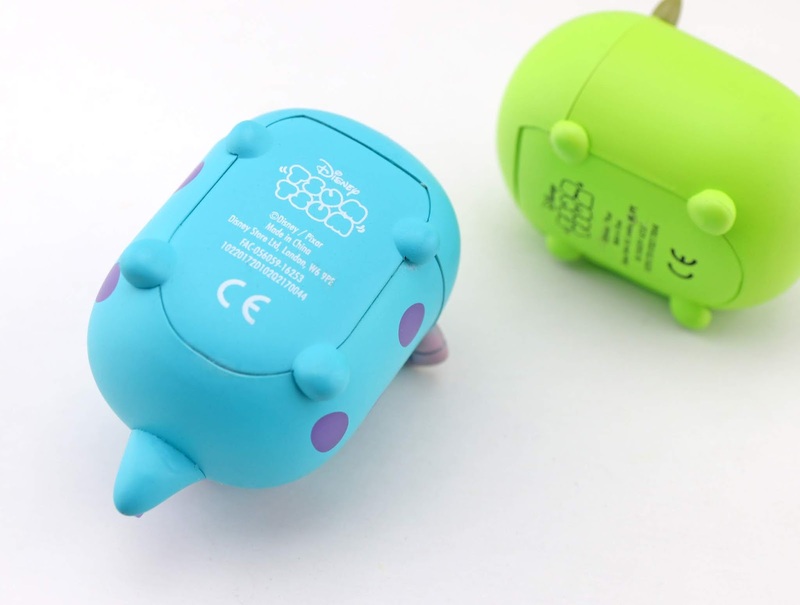 Also don't expect it to be as bright and colorful as it appears on the ShopDisney listing. The colors are much more muted, as seen in my photo (which isn't a bad thing, I actually think it's really cool that way). 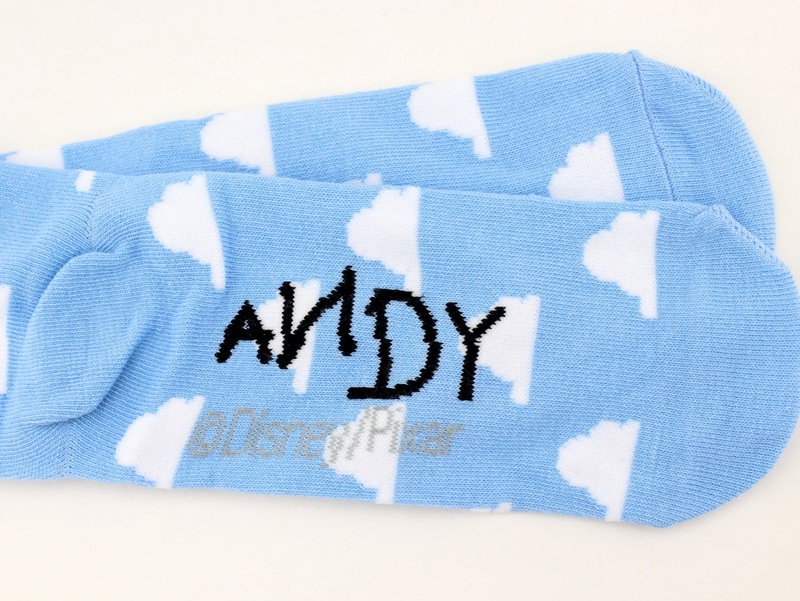 If you'd like this same design as a brighter, softer blanket, they actually have one at BoxLunch HERE. I prefer the one I have here, but that's just my taste. What are you thoughts? Have you picked this up or plan to? Which is your favorite character design of the 16 featured on here (mine has to be that chubby happy Mike Wazowski)? Let me know down in the comments below! 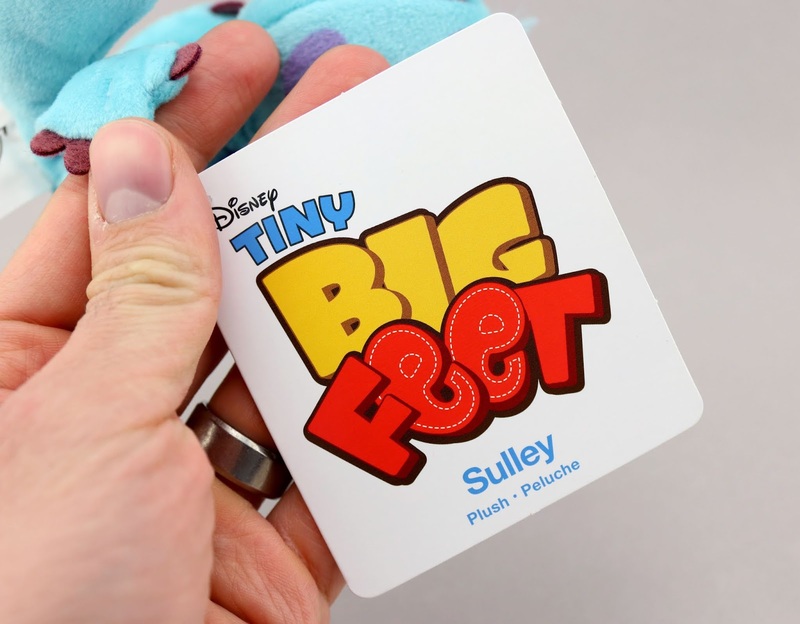 Released just a few months back at the Disney Store and ShopDisney.com, here we have Sulley as part of their new adorable "Tiny Big Feet" collection! 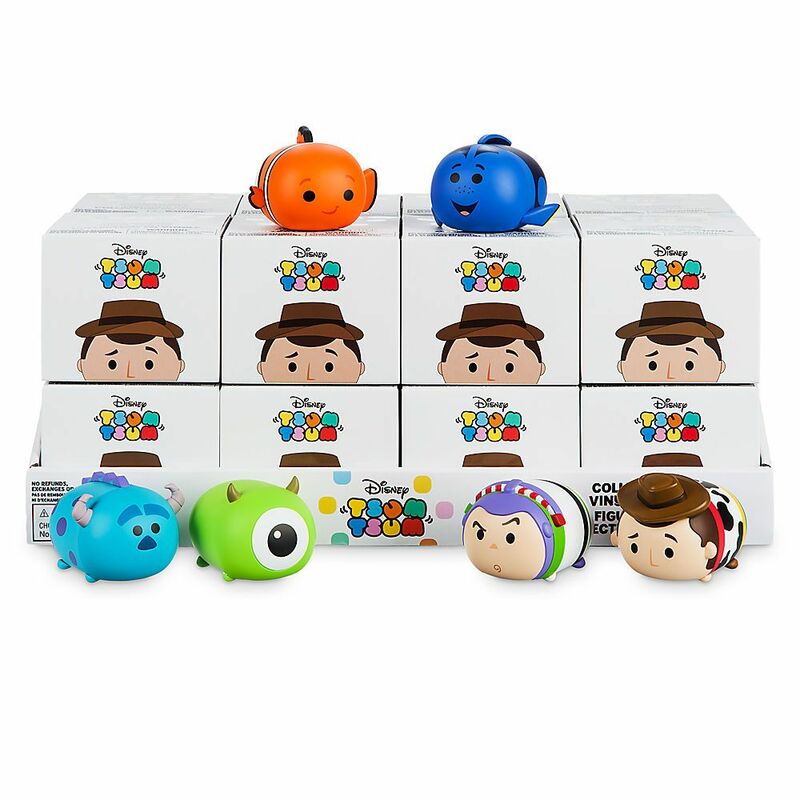 This series of micro plushies also includes Mickey, Minnie, Pluto, Dumbo, Thumper, Pooh, Eeyore, Stitch and Marie; each one being about 3 3/4" tall. Retail is $5.95. 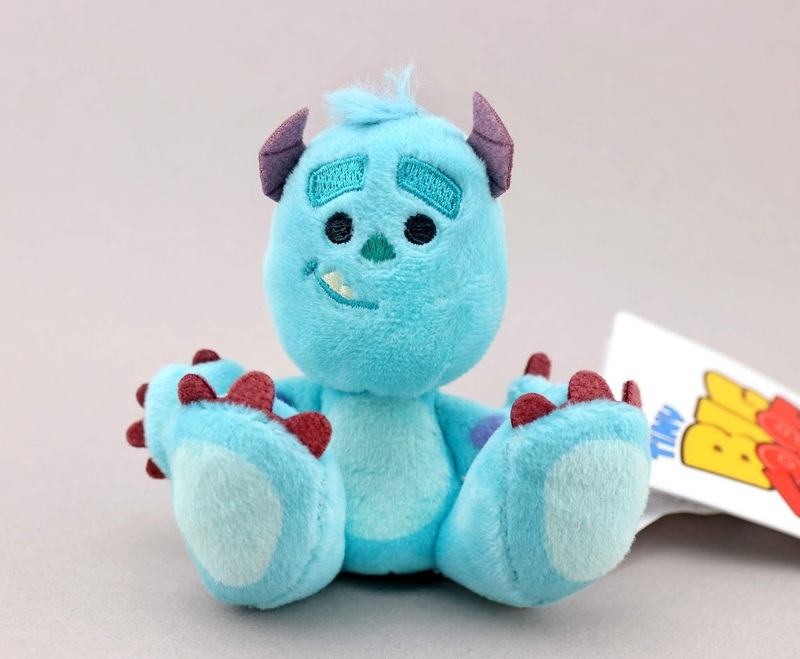 Given that I have other small plush versions of Sulley (from Tsum Tsums to Itty Bittys, etc. ), I honestly wasn't going to grab this one at first. But given its sheer shameless cuteness and that it was only a few bucks, I decided I couldn't resist! I ended up asking for this as a stocking stuffer from my in-laws anyway, so that worked out pretty perfectly. I'm putting this away for my little ones to enjoy one day, hoping that they'll end up loving Monsters Inc. as much as me. 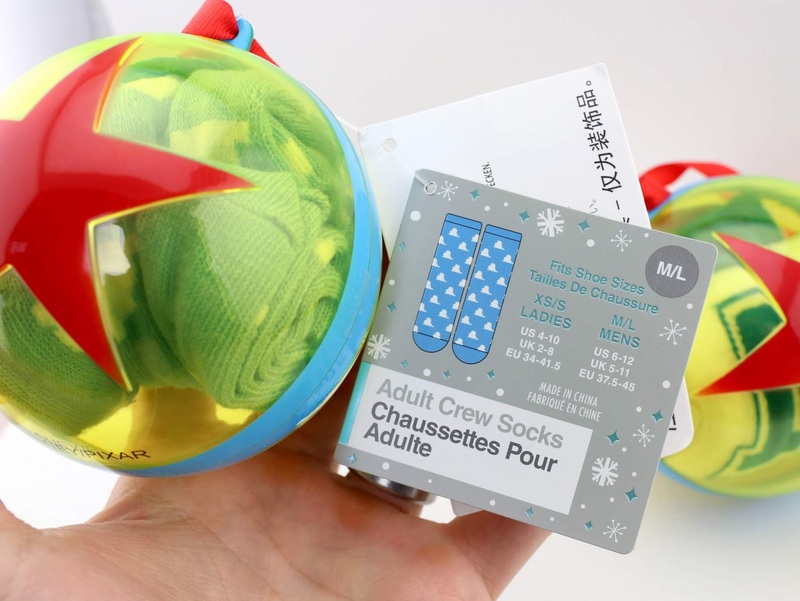 It's perfect for young kids, from baby to toddler! 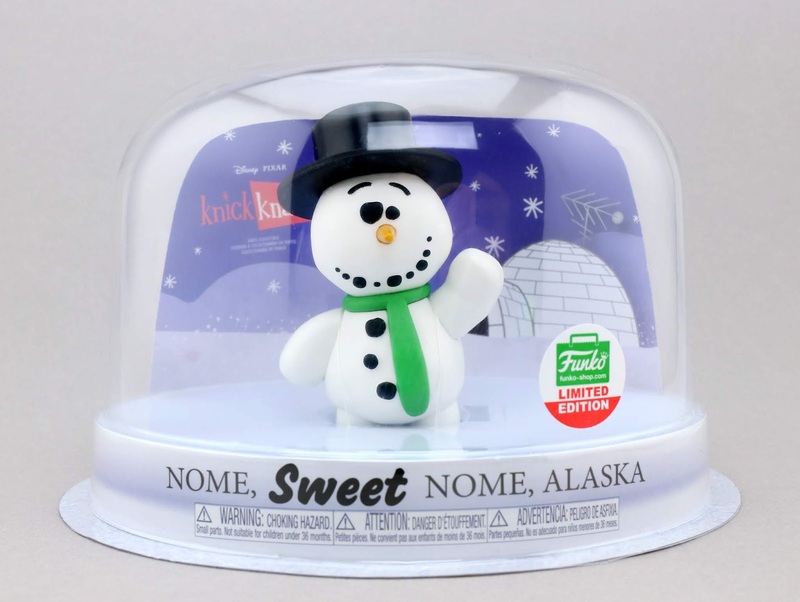 It's also just a cute little desk item for collectors/older kids as well. This plush is soft and squeezable with some nice embroidered details. 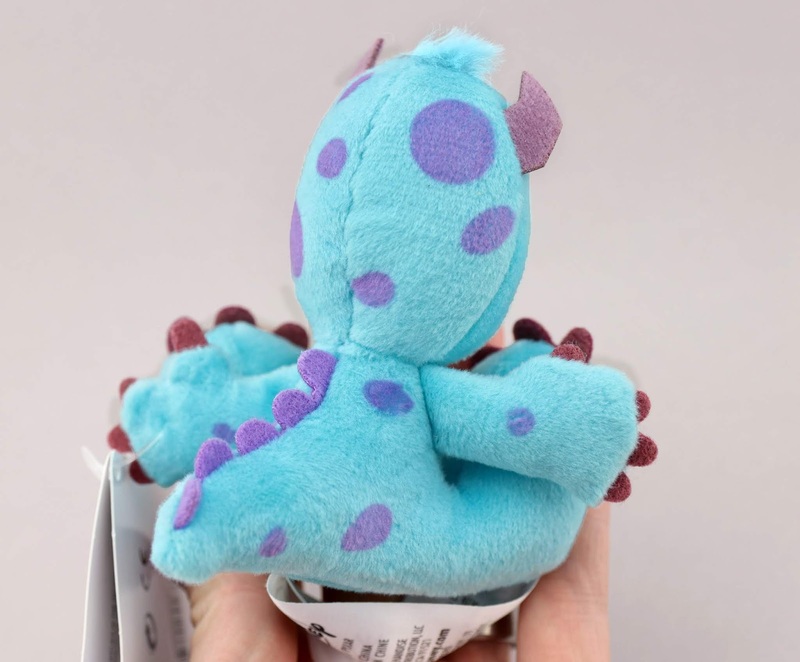 You can't go wrong here, so go ahead and grab him while you can if you want a tiny little fuzzy monster friend in your collection! 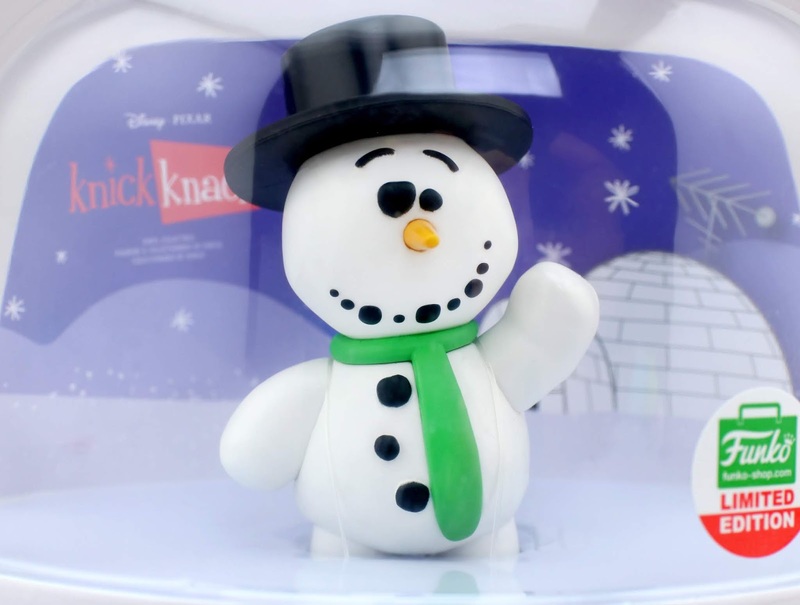 You can still find him at your local Disney Store or on ShopDisney.com HERE. 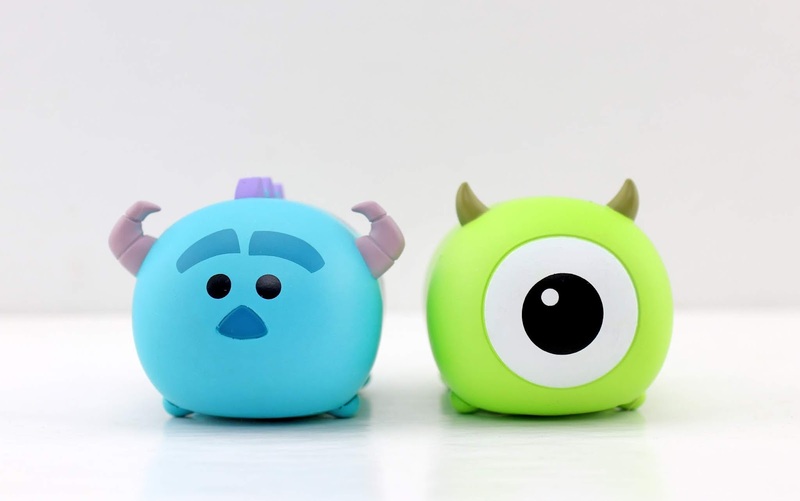 And stay tuned next month as THREE new Tiny Big Feet plush will be released on February 23rd— this time based on Toy Story characters (Buzz, Woody and Rex)! Who else would you like to see get this treatment? Sound off your thoughts down below. Hi everyone! Just when I think I'll have the time to get back to my regular blog posts here, life just gets busier and busier. 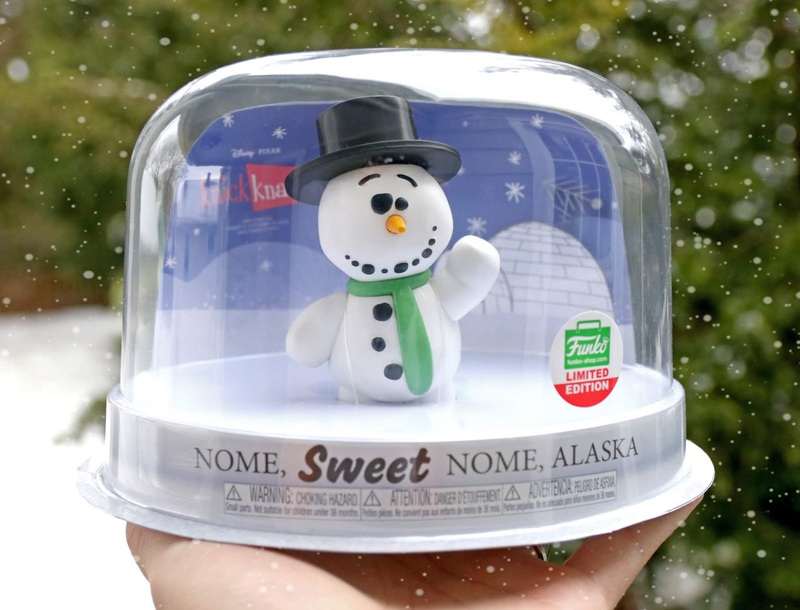 Sorry I haven't been able to get one up since almost a month ago, but I'm thrilled that I found some time tonight to review one of the items I got for Christmas a few weeks back. 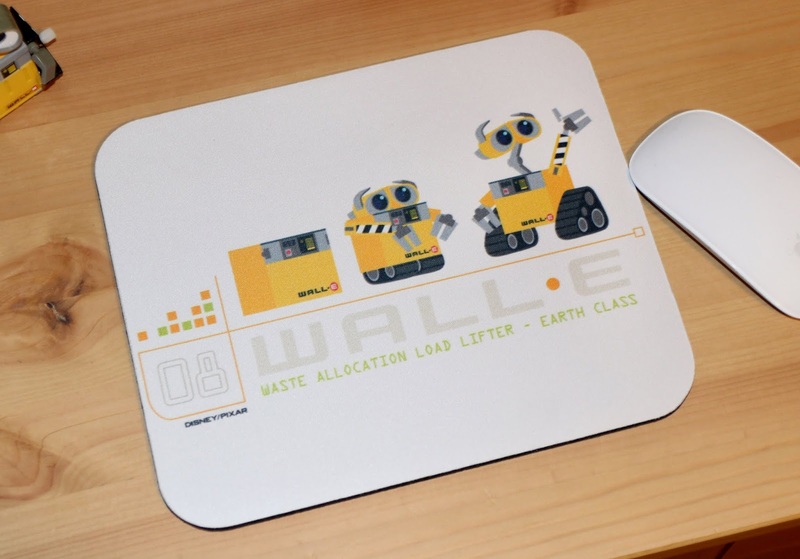 Check out this Wall·E inspired mousepad from Zazzle! I was really in need of a new mousepad (they say these things are dust and stain resistent, but definitely not). The Monsters University one (seen HERE) I got back in the summer of 2017 was getting old and scuffed and I wanted my whole computer desk area to start off the new year clean and fresh. This one was the perfect choice for me! 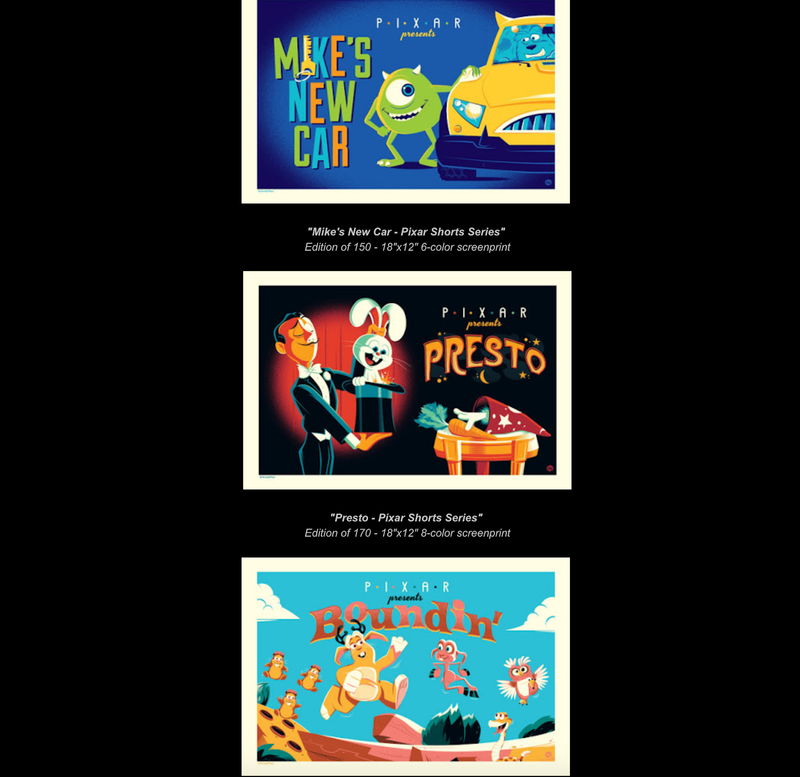 There are so many options out there for Pixar themed mousepads, but I wanted something that made sense themeing wise. Wall·E was the obvious choice this time around, not only because computers in general play a big part in the movie, but also since much of the film does have that clean/minimal Apple computer inspired look and feel to it (even the real life Apple startup sound is used for when Wall·E gets recharged ). It just felt right. The next step was narrowing down all the cute 30+ Wall·E mousepad designs on Zazzle down to one. This one stood out because the art style is right up my alley and I just liked the simplicity of it. So cute! And yes, the "08" seems to be a direct reference to the year Wall·E was released in theaters. All the mousepads are a standard size of 9.25" L x 7.75" W and retail for $12.25. You can grab this one on Zazzle's site HERE if you're interested in this for your computer desk. You can order it as is, OR completely customize it in terms of color, image placement, text, size, etc. Let me know your thoughts down below and I hope to see you again real soon for another blog post! Stay tuned.